My fascination with Japanese tea ceremony was kindled in 1964 at the New York World’s Fair. Though very young at the time, I visited a small wooden teahouse in the Japanese pavilion and immediately became fascinated with the ritual of tea, teaware, and the distinct flavor of Matcha. Many years later, I visited Japan with my husband, a professor of Japanese and Chinese art history, and learned how easily tea can transcend a language barrier. Kagoshima is one of Japan’s southernmost prefectures (only Okinawa is further south), with roughly the same global latitude (north/south position) as Marrakesh Morocco, Cairo Egypt, Shanghai China, and El Paso, Texas. 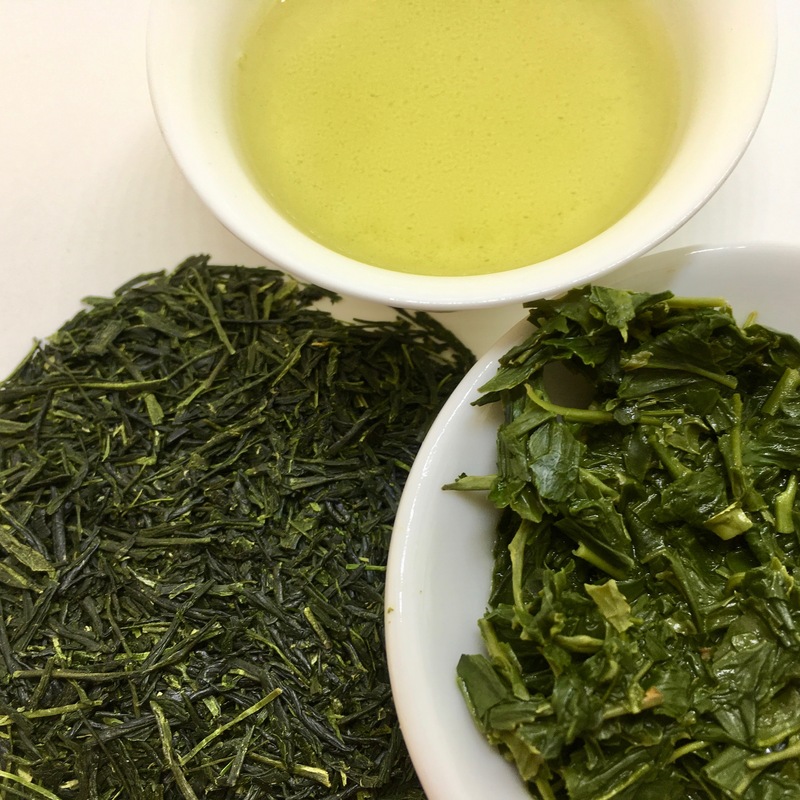 Kagoshima produces all types of green teas, and is the source of 22% of Japan’s tea yield. 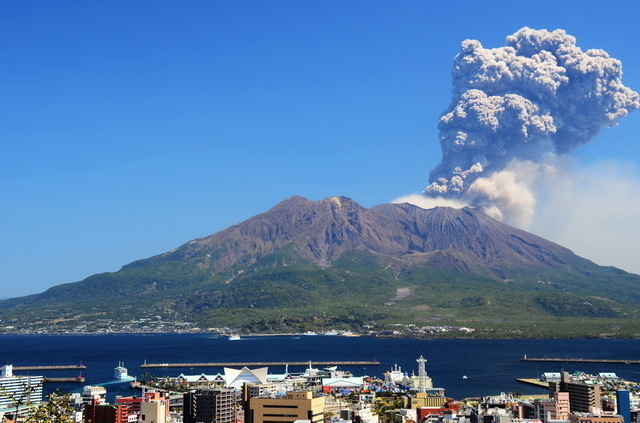 It is also home to a large number of dormant as well as active volcanoes, some of which produce daily mini-eruptions, and in nearby Kagoshima city, umbrellas are advised to deflect the ash-falls. The major eruption of 1914 created enough lava flow to permanently connect the island volcano Sakurajima to the mainland. Kagoshima archeological digs indicate prehistoric populations extend back to 31,000 years ago. It is believe that ethnic minorities are a very small percentage of the population, though the Japanese census does not collect data on ethnicity, only nationality. Immigration populations are growing steadily, driven by workforce needs and principally due to the fact that Japan’s population is aging faster than any other country in the world. Because Japan’s geography is 75% mountainous, more than 90% of the population lives in cities. Kagoshima’s pride in its Samurai history is evident, although on the surface the feeling expressed in the culture is quite relaxed: the local expression “tegetege” means “only to the extent necessary”, and implies a carefree outlook surrounded by local treasures: shochu liquor, its own unique ramen style, kurobuta pork, sweet potatoes, and shaved ice. These plus short-distance trips to areas of serene natural beauty make Kagashima a place to enjoy life. Kagoshima’s southern location give it the highest average temperatures during both Summer and Winter of anywhere else in mainland Japan. Though the mountains do see a bit of winter snow, Kagoshima’s humid, subtropical Spring climate produces warm, wet weather, hot, wet Summers, and mild Autumn seasons. Kagoshima has been home to pivotal events, with effect across Japan, as well as the World. Following the reports from Portuguese trading vessels and hoping to extend his missionary efforts from Mozambique and India, Jesuit priest Francis Xavier travelled to Kagoshima on a Chinese junk, making landfall there in 1549. He was among the first Westerners to engage Japan for more than trade. Satsuma porcelain, the Meiji Restoration, and Japan’s rise to become a world power, all had their connections to Kagoshima. One theory about the history of tea in Kagoshima is that the first tea plants were brought by a priest from Uji, an established tea growing area, who established the first tea garden at temple in Yoshimatsu, Kagoshima in approximately 1320. Tea from this region struggled to compete and to develop high quality and higher total production. It was not until 1975 that the teas from this region were able to increase to a more competitive scale and quality in the international marketplace for tea. Kagoshima Tea Dealer Auction with Cha Yuan, France. by Japan Greentea Co.